This skirt can be made of a variety of fabrics, and may be lined or unlined. 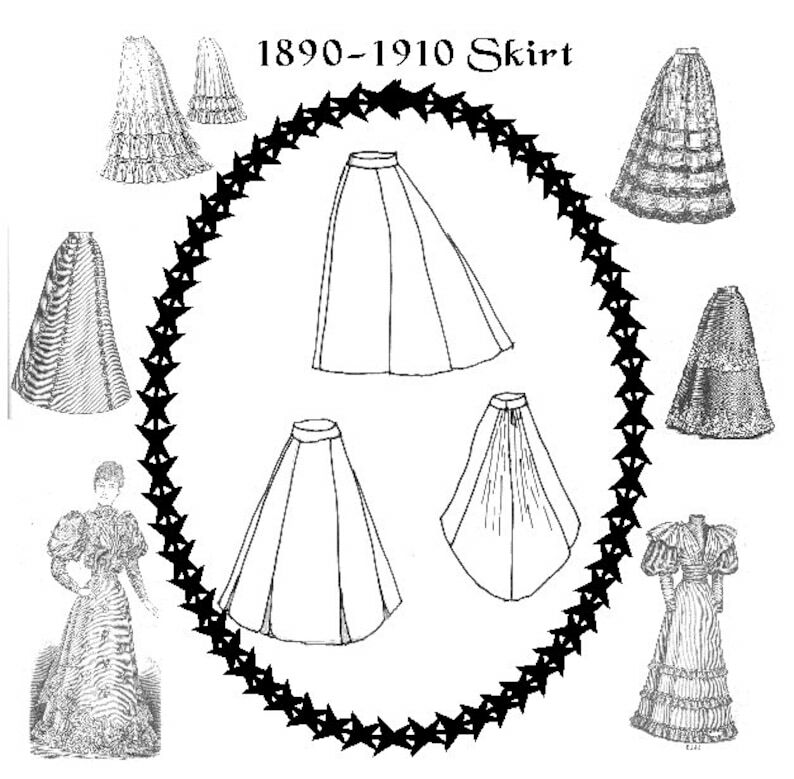 The cut is appropriate for skirts from the early 1890’s through about 1910 (although it is more of a “country cut” for circa 1909-1910) It includes a special ruffle guide and pages of period notes to help you make it a very flexible pattern. Great pattern and arrived quickly! Very well written and informative. Lots of good information about clothing for a working woman. Really interesting. So glad I purchased. 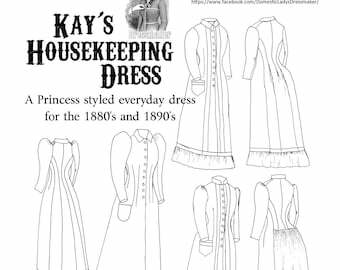 There is less information on working costumes of the past, so to find something like this was lovely. Thanks so much!